Anil returns to Sydney from Google's headquarters in Mountain View, California, where he led the team that created Google Photos. 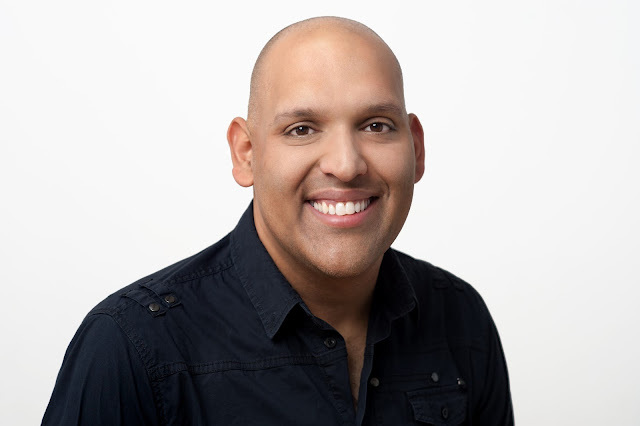 Anil joined Google Australia in 2009 and spent four years in Sydney before relocating to Mountain View, where he led the team that conceived, built, and launched Google Photos in 2015. Google Photos has grown more than 500 million monthly active users, who upload more than a billion photos and videos daily. More recently his responsibilities expanded to Google’s connectivity and communications portfolio, which includes products and efforts such as Duo, RCS and Project Fi. Alan has led the engineering team in Australia since 2007, overseeing its growth from just 20 engineers to more than 700 today. Anil will replace director of engineering Alan Noble, who is departing Google Australia after 11 years to focus on the expansion of his non-profit organisation AusOcean. 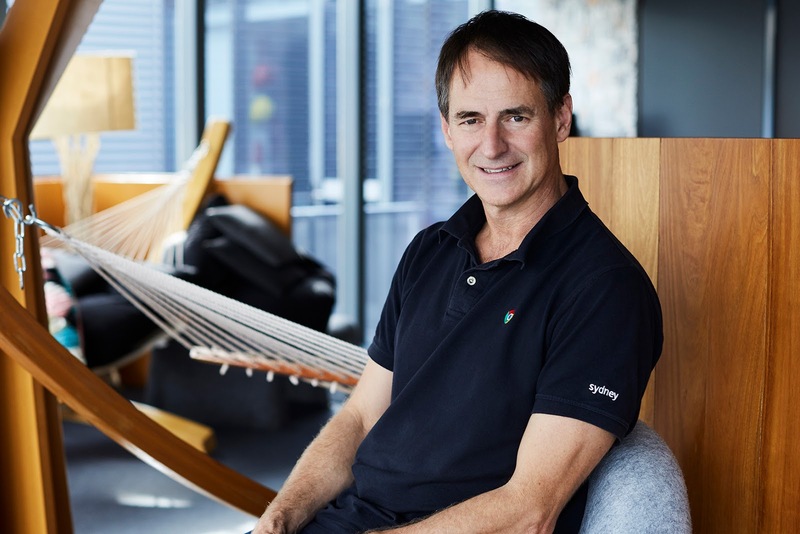 Alan has been site lead of the engineering corps at Google in Sydney since 2007, during which time it has grown significantly in size and scope. Anil Sabharwal, Vice President of Product at Google, has been appointed the new lead for Google’s 700 engineers in Australia. Having recently relocated to Sydney from the company’s headquarters in Mountain View, Anil will also continue to lead Google’s global efforts in personal communications and photos. Google's Sally-Ann Williams (left) with Senator Michaelia Cash (centre-left) and Schools Plus CEO Rosemary Conn (centre-right) get a robotics demonstration from students at Balga Senior High School. So we were thrilled to announce today - at an event attended by Senator the Honourable Michaelia Cash, Federal Minister for Jobs and Innovation - that we have partnered with the nonprofit organisation Schools Plus to support a STEM-themed after school program and Robotics Club at Perth’s Balga Senior High School. We’re providing $25,000 in funding as well as mentoring and professional development with some of our amazing Google colleagues as Balga SHS aims to introduce at least two hours' a week of STEM education for its Year Seven students. Balga SHS aims to introduce at least two hours' a week of STEM education for its Year Seven students. Over the past fifteen years, Google and its 1,300+ employees have partnered with a number of nonprofit organisations across the country, and we look forward to working with Schools Plus, a group backed by David Gonski and other prominent Australians that calls for a stronger focus on philanthropy in education. We've long been supporters of computer science and STEM education in Australia. Future innovations and inventions in Australia will come from students gaining skills in computer science today, and blending that with other disciplines to solve challenges the world faces now, and in the future. We’re grateful to Schools Plus for bringing this exciting opportunity to us and we can’t wait to work with the Balga kids and teachers to do great things with technology. Google, Schools Plus and Balga announced the funding and additional support at an assembly attended by staff and students. Computer science and robotics can lead to a world of opportunities. But you don’t have to just be interested in them to make the most of them - Google, for example, employs lots of people who come from all kinds of backgrounds: people who love everything from music, to medicine, to motors! At Google, of course, we do love technology, and we think that computer science will be a key part of the future of everything from education and health to government, transportation - even music and art! Google Pay’s new “Home” tab gives you the info you need, right when you need it. See your recent purchases, find nearby stores, and enjoy easy access to rewards. The “Cards” tab is an easy way to keep everything you need at checkout organized and at the ready. From credit and debit cards to loyalty programs, offers, and even that stack of gift cards from last year’s birthday, you’ll never miss a chance to save with Google Pay. Ferry and light rail trips in Sydney will be faster and smoother than ever for NSW commuters, as you can now use Google Pay to pay for your ticket via your smartphone.You can also use Google Pay on transit when you travel in London (with more cities soon), and stop worrying about your pass once and for all. Now all you need at the turnstile is the device that’s already in your hand. Like all Google products, Google Pay comes with strong security protections at its core to safeguard your account and personal data from security threats. In other words, it’s got your back. Google Pay is now supported on smartwatches running Wear OS in Australia - bringing you effortless payment experiences at-a-glance via your smartwatch. Longtime Android Pay fans, fear not: the features you love aren’t going away. You’ll still get all your bank’s perks and protections, plus an extra layer of security, since Google Pay doesn’t share your actual card number when you pay in stores. And those online forms that take forever to fill out? Just choose Google Pay at checkout and pay with a few quick clicks instead. 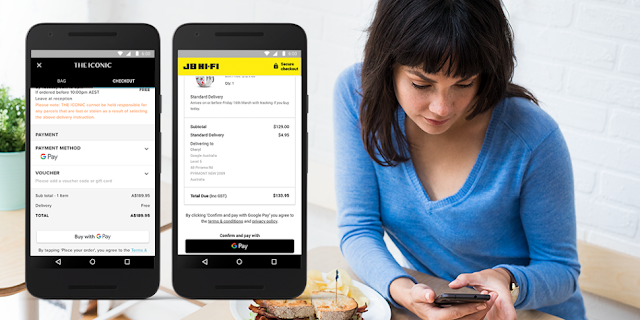 Aussies can pay in-store as well as in-app or online or on your Android phone with a range of merchants, including at ASOS, Deliveroo, JB Hi-Fi, The Iconic and Wish. To use Google Pay you’ll need to download the Google Pay app on Google Play, and have an eligible MasterCard, Visa, American Express or eftpos card from one of more than 50 supported banks and credit unions including ANZ, Commonwealth Bank of Australia and Westpac. HSBC and Suncorp recently launched on Google Pay – and more banks are being added all the time (see full list here). In Australia, for a limited time, we’re also giving eligible new and referring users the opportunity to earn $10 Google Play credit under two introductory promos with Google Pay. Terms and conditions apply (see here) - follow the prompts in-app to opt in. And if you’re a developer or business owner interested in accepting Google Pay, you’ll find all the tools you need on our developer site — or you can work with Shopify to make integration even easier. 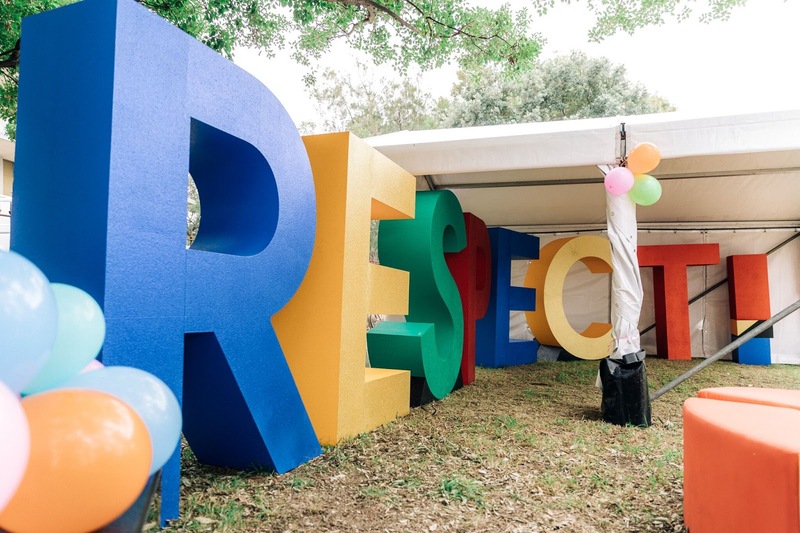 We launched Project Respect at the Sydney Gay and Lesbian Mardi Gras Fair Day. We’re kicking off Project Respect at the 2018 Sydney Gay and Lesbian Mardi Gras to help make conversations more inclusive. We’ll be asking people to write a statement about themselves, or someone they love and respect, to help reclaim positive identity labels. Googlers Kirstin Sillitoe and Sam Worne help to launch Project Respect. These statements will contribute to an open source data set, which coders, developers and technologists all over the world can use to help teach artificial intelligence models how the LGBTIQ+ community speak about themselves. One of those AI algorithms is called Perspective, a tool that is currently being offered on a limited basis to international news websites to assist them in their moderation efforts. One of its uses is to highlight the toxicity of a comment to you, while you’re writing it. That gives you, as the writer, an opportunity to reflect, reconsider and edit your comment, making conversations more inclusive. Perspective helps to highlight the possible toxicity of a comment, while you're writing it. And while Project Respect began in Sydney, it’s also being rolled out to other countries, meaning the data we gather will represent the LGBTIQ+ community on a global scale. 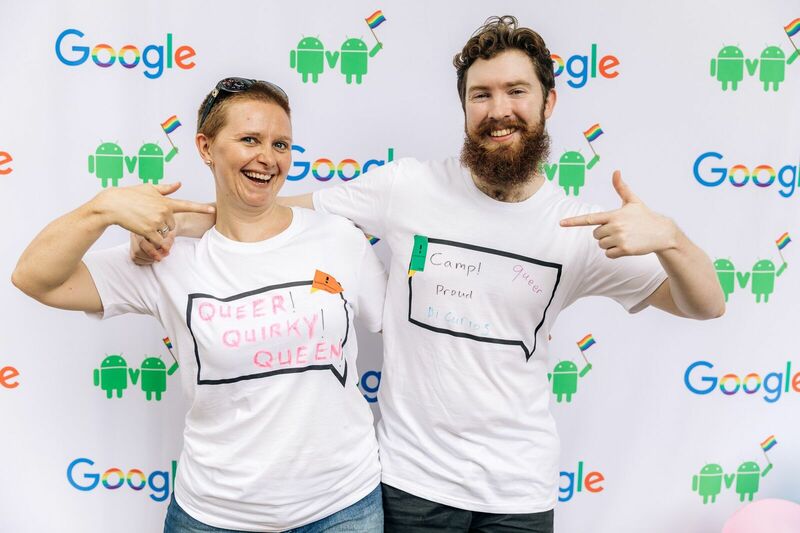 Google is a proud supporter of the LGBTIQ+ community through our sponsorship of the Sydney Gay and Lesbian Mardi Gras Community Parade Grants. At Google, we encourage people to bring their whole selves to work. In all of our offices around the world we are committed to cultivating a work environment where Googlers can be themselves and thrive. We also want our employees to have the same inclusive experience outside of the office, and for LGBTIQ+ communities to be safe and to be accepted wherever they are, both in the world around us and online. 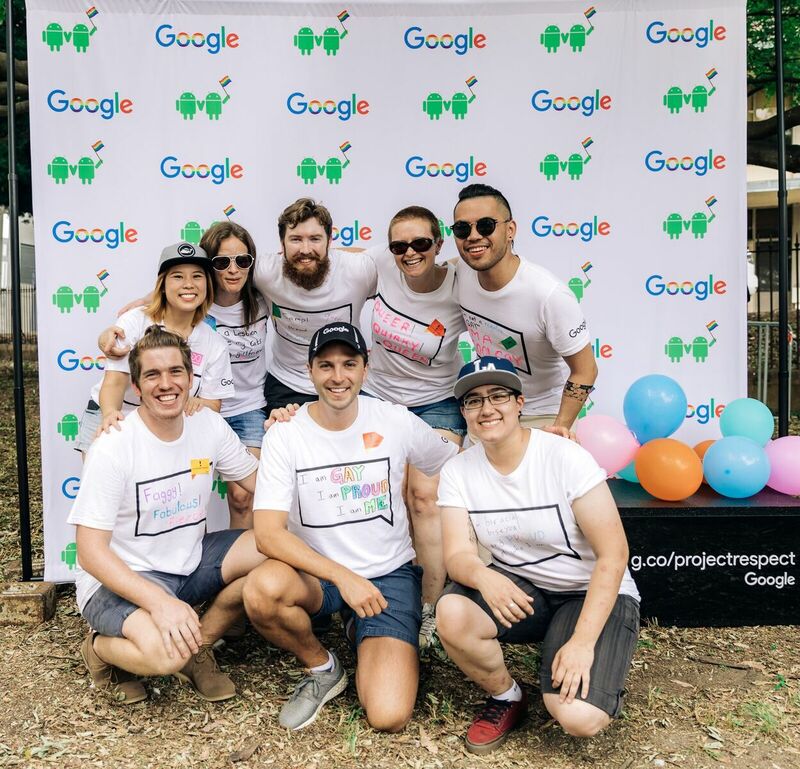 The Google team behind Project Respect. It’s been so great working alongside such a talented, passionate team to bring Project Respect to life. Many of us on the team identify as LGBTIQ+ - including me - and so we’ve experienced both the pride of being part of that community, and some of the challenges, first hand. I grew up in an era when the word ‘queer’ was being (rightly!) reclaimed - and because the people who’ve gone before me fought that fight, I can now use that word with pride! Don’t forget to visit Project Respect and share your statement. At Google, we think everyone should be able to express themselves online, so we want to make conversations more inclusive. Sometimes the labels we use to describe ourselves and our loved ones can be used to harass people online - but technology can help. aims to raise awareness of emerging online issues and chooses a topic reflecting current concerns. This year's theme - "Create, connect and share respect: A better internet starts with you" - is a call to action for everyone to play their part in creating a better internet for all web users, in particular the youngest out there. More than that, it is an invitation for everyone to join in and engage with others in a respectful way in order to ensure a better digital experience. This year we invited some of Australia’s most popular YouTubers - Elly Awesome, Slaiman and Kate, Jayden Rodrigues, Jamie and The Scran Line - to talk about the ups and downs of sharing their lives online - and in return we shared some love from their fans! YouTube has always encouraged you to report content you think is inappropriate. Once you’ve flagged a video, it’s submitted for review to YouTube staff who then carefully look at the content to determine whether there’s a violation of YouTube’s Community Guidelines to see if it should be removed. You can also flag individual comments under any video for abuse or spam. 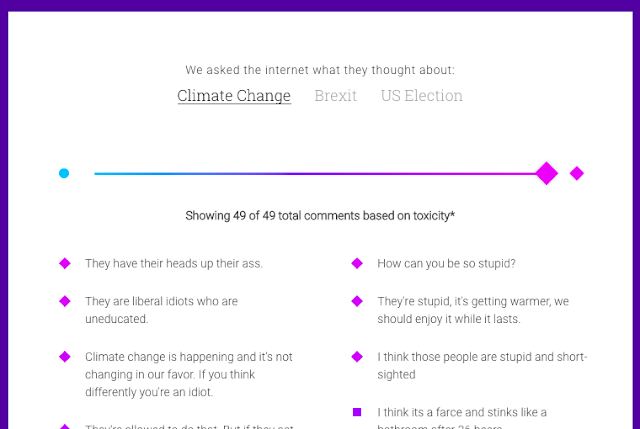 Perspective uses machine learning to try to measure the impact of a comment, and see whether it might be perceived as toxic. We are also training machine learning algorithms to proactively identify toxic comments. “Perspective” is an early stage API and can be used to highlight the toxicity of a comment to you while you are writing it which provides an opportunity to reconsider your comment. In addition to promoting a culture of respect online, we have always believed that you should have the ability to take control of your digital experiences, and have invested in tools and resources to help you do just that. 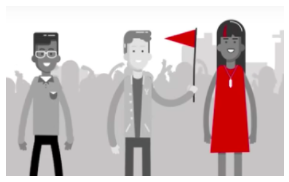 YouTube encourages viewers to flag content they feel is inappropriate. We recognise that children may share your home computer or frequently use the apps on your phone, and we have developed Safe Search and Restricted Mode on YouTube to filter out mature results from appearing in searches. And of course we work closely with organisations such as The Alannah and Madeline Foundation, Project Rockit, Kids Helpline and ReachOut to ensure that children and young people are receiving the best advice about being safe and respectful online. Please take some time, not just today but everyday, to consider how your words and actions can impact others; a better Internet starts with you. The theme for Safer Internet Day this year is particularly meaningful to us here at Google.